The latest Chuck E Cheese’s menu prices for you. Chuck E. Cheese’s is a chain of family entertainment centers in the U.S. that offers wholesome family fun in an open environment. The kids can stay busy for hours playing & climbing the attractions or spending their tokens on video games.Famous for their pizza, Chuck E. Cheese’s also serves wings, sandwiches, wraps, and salads. And don’t forget to leave room for dessert. While the kids are enjoying themselves with their friends, go ahead and connect with your friends or shop online using the FREE all day WI-FI access. Stay connected to all the latest news and food specials through social media. Connect with Chuck E. Cheese’s through Facebook, Twitter, and Instagram. Below are the latest Chuck E. Cheese’s menu prices. All guests in a group get a unique hand stamp upon entry. The hand stamp is verified upon leaving to ensure all in the group are together. All areas of the restaurant and play area are cleaned and sanitized throughout the day. Guests can also enjoy everything Chuck E. has to offer even when you are home. Visit the official website and head over to the Kids’ Corner page and spend time learning and having fun. Kids will be able to play online games, download apps, watch videos, print coloring pages and download cool Chuck E. Cheese’s wallpaper. Chuck E. Cheese’s is a great spot to host your next birthday party, fundraising event or group event. Chuck E. Cheese’s and the crew will take care of all the details as you and your group enjoy all the video games. Be sure to join the Chuck E-Club. For parents, the benefits include offers & discounts on tokens, information about new menu items, special deals, and kid-specific activities. 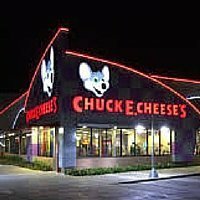 Chuck E. Cheese’s was founded in 1977 by Nolan Bushnell and it was considered the very first family restaurant that combines food and entertainment in one place. Its popularity continues to grow in spite of the stiff competition and it’s still a hit among kids. As of 2009, there were already 542 Chuck E. Cheese’s restaurants across the country. For more information about Chuck E. Cheese’s, visit their official website. How much does it cost to do a birthday parties. Food is a tad pricey….but overall a good value if you get a oackage deal. Esp compared to Dave and Busters. 😱 Tokens last forever too. Got the kuds 50 a puece and they took hoyrs to soend them all. People complaining its too expensive obvioysly dont go out much. Or just eat before you come. Duh.